When Neo-Viking terrorists invade the British Museum in London to reclaim the staff of Skara Brae, ARKANE agent Dr. Morgan Sierra is trapped in the building along with hostages under mortal threat. 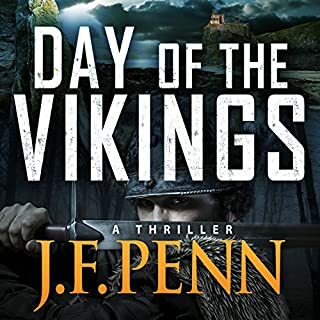 As the slaughter begins, Morgan works alongside psychic Blake Daniel to discern the past of the staff, dating back to islands invaded by the Vikings generations ago. NO! The narrator voice was like fingers on a chalkboard to me. The pitch, the tone and the inflection. She reads in a very emotional (when emotion isn't required) style. It was incredibly annoying! Would you be willing to try another book from J. F. Penn? Why or why not? Meet Harold Fry, recently retired. He lives in a small English village with his wife, Maureen, who seems irritated by almost everything he does, even down to how he butters his toast. Little differentiates one day from the next. Then one morning the mail arrives, and within the stack is a letter addressed to Harold from a woman he hasn't seen or heard from in 20 years. Queenie Hennessy is in hospice and is writing to say goodbye. Harold pens a quick reply and, leaving Maureen to her chores, heads to the corner mailbox. But then Harold has a chance encounter, one that convinces him that he absolutely must deliver his message to Queenie in person. 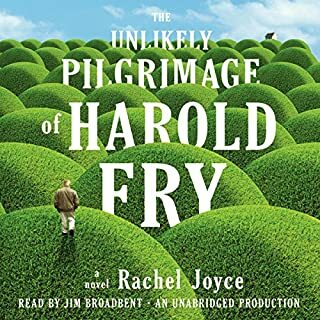 The Booker Prize people were wrong not to give Rachael Joyce the award in 2012. This book is inspiring, hopeful, mindful and reminds us about second chances, redemption, and life's moments of pure serendipity. It is also a great study of memory and an intuitive look at grief. I will pick this book up again and have already recommended it to everyone who will listen. Listen to it! In 1799, the artificial island of Dejima lies in Nagasaki Harbor as Japan’s outpost for the Dutch East Indies Company. 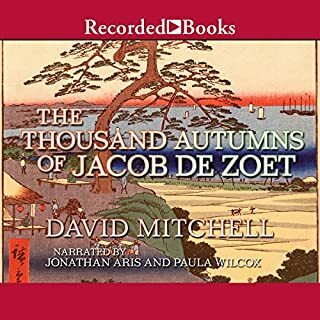 There, Jacob de Zoet has come to make a fortune large enough to return to Holland and marry the woman he loves. Honestly, I almost gave up on this book because, in my opinion, the first half was just not all that interesting. That said, I am happy that I stuck with it because the book grows exponentially in complexity. The ending of this book was not predictable, not sappy ... don't really know how to explain it except: perfect. At the heart of this vibrant saga is an immense ship, the Ibis. Its destiny is a tumultuous voyage across the Indian Ocean, its purpose to fight China's vicious 19th-century Opium Wars. As for the crew, they are a motley array of sailors and stowaways, coolies and convicts. 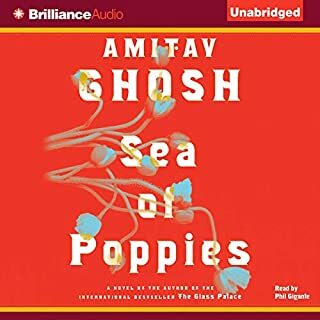 I heard Amitav Ghosh interviewed on NPR recently and the interview intrigued me, so I downloaded Sea of Poppies. All I can say is that I cannot wait for my morning walk because it means that I am continuing on the adventure this book has taken me on. I have about 3 chapters left and I am going to be very sad when it ends. This book will definitely be at the top of my top 5 list. The reader is also quite fabulous ... has all the various accents down, etc. LISTEN TO THIS BOOK!